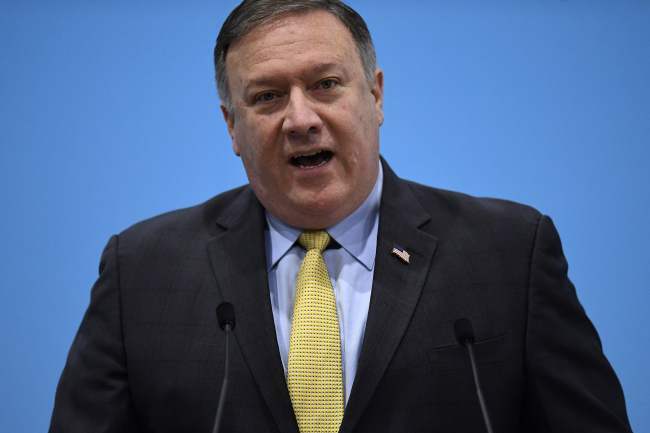 WASHINGTON -- US Secretary of State Mike Pompeo congratulated South Korea on Monday ahead of a key national holiday marking its liberation from Japanese colonial rule. In a statement, Pompeo said he is extending his congratulations on behalf of President Donald Trump and the American people on the occasion of Liberation Day on Aug. 15. "As you celebrate your national day on August 15, we recognize your commitment to democracy, freedom, human rights, and the rule of law have been the underpinning of your success," he said. "These values, along with our close people-to-people ties, strong economic relationship, and expansive global partnership, bind our two nations together as we move forward to advance peace and security in the Indo-Pacific Region." Pompeo, the US point man on nuclear negotiations with North Korea, also underscored the allies' joint efforts to rid the North of its nuclear weapons. "We remain committed to our ironclad Alliance as we continue to coordinate closely on the final, fully verified denuclearization of the DPRK," he said, using the initialization for North Korea's formal name, the Democratic People's Republic of Korea. "I send our best wishes to the people of Republic of Korea and look forward to continuing to work closely together," the secretary added.